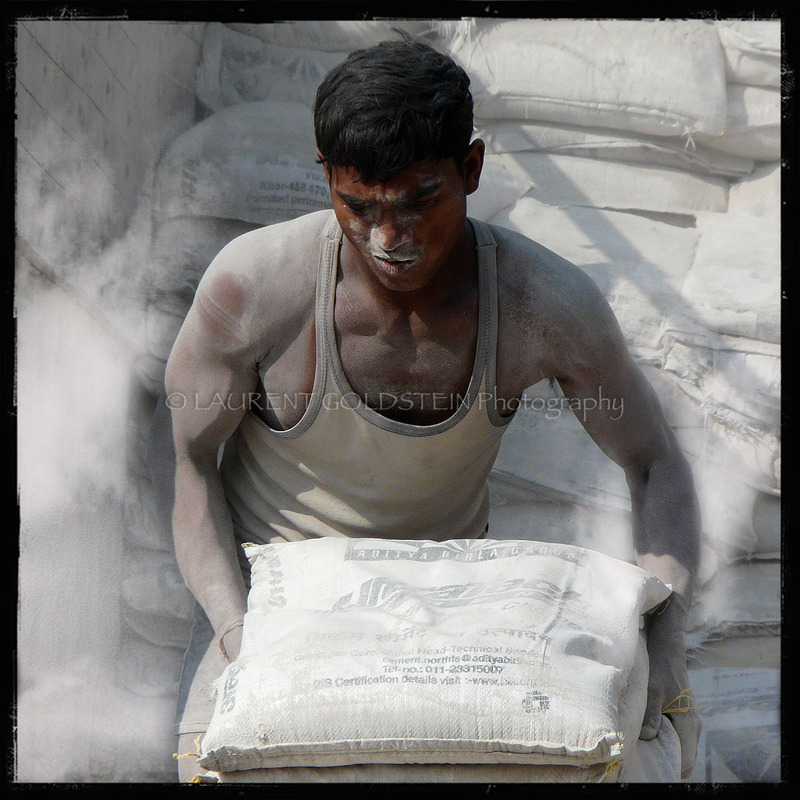 This is a close-up of one of those four men who were emptying plaster bags from a truck in my street in Varanasi (Benaras). It was very dusty, although they reminded me “butoh” dancers performing with white-body makeup. This japanese contemporary dance came after the second world war and among several things the choreography is a remembrance of the suffering of Hiroshima’s atomic bomb. It raises the question of how is it still possible to dance after such a thing and in some ways it is easy to compare this concept of art to those workers living in dust. 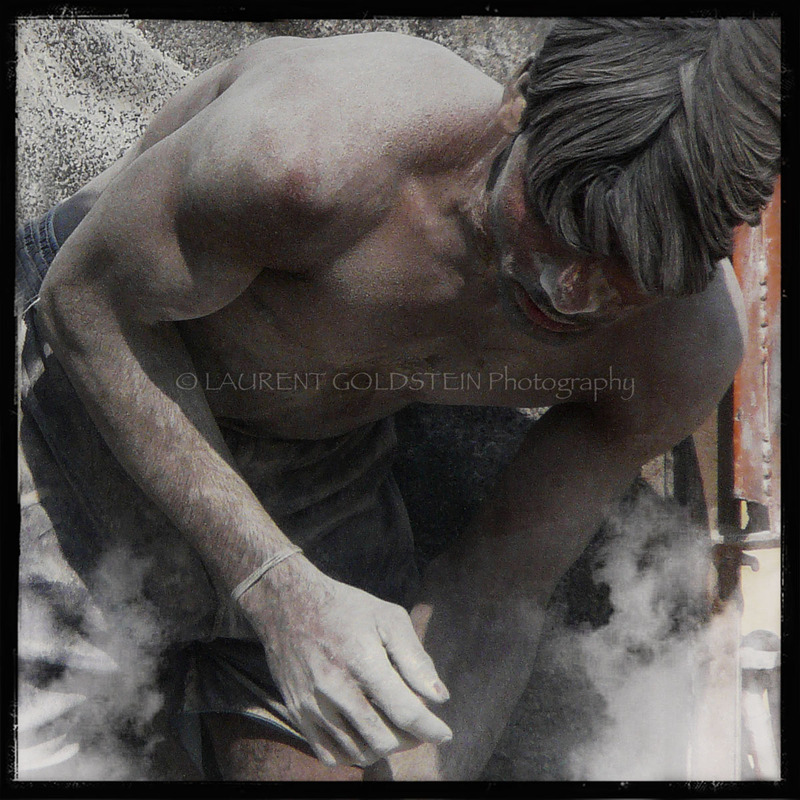 This will be the last picture which belongs to the series shot in my street in Varanasi (Benaras) while four men were emptying plaster bags from a truck. I might upload more in this set later. 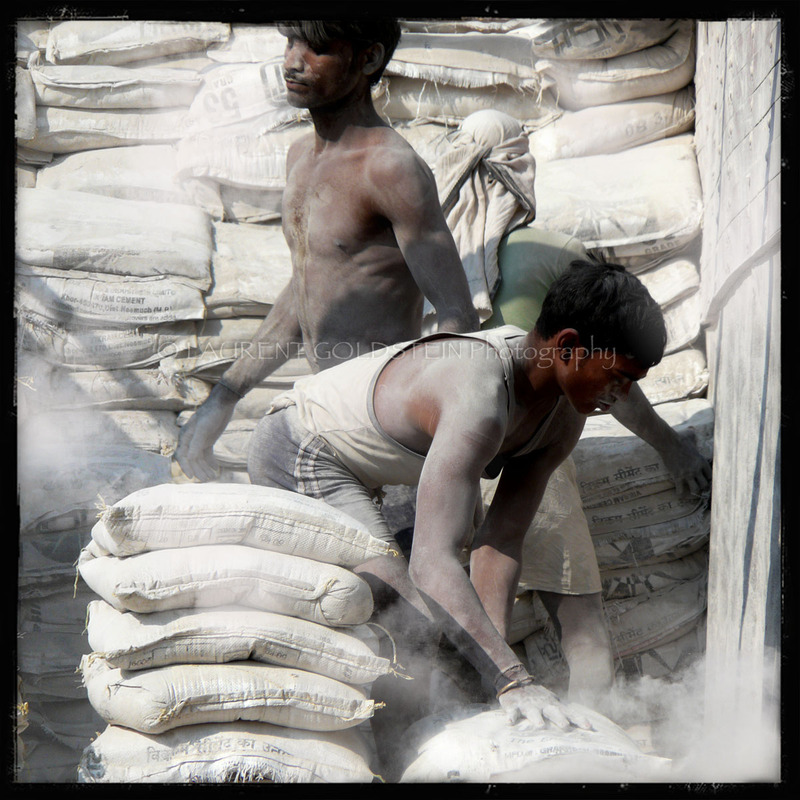 Those poor guys have to work with dust all day and no one seems to care about the danger on their lungs. This is why they kept on reminding me “butoh” dancers performing with white-body make-up in a choreography showing the suffering of Hiroshima’s atomic bomb. 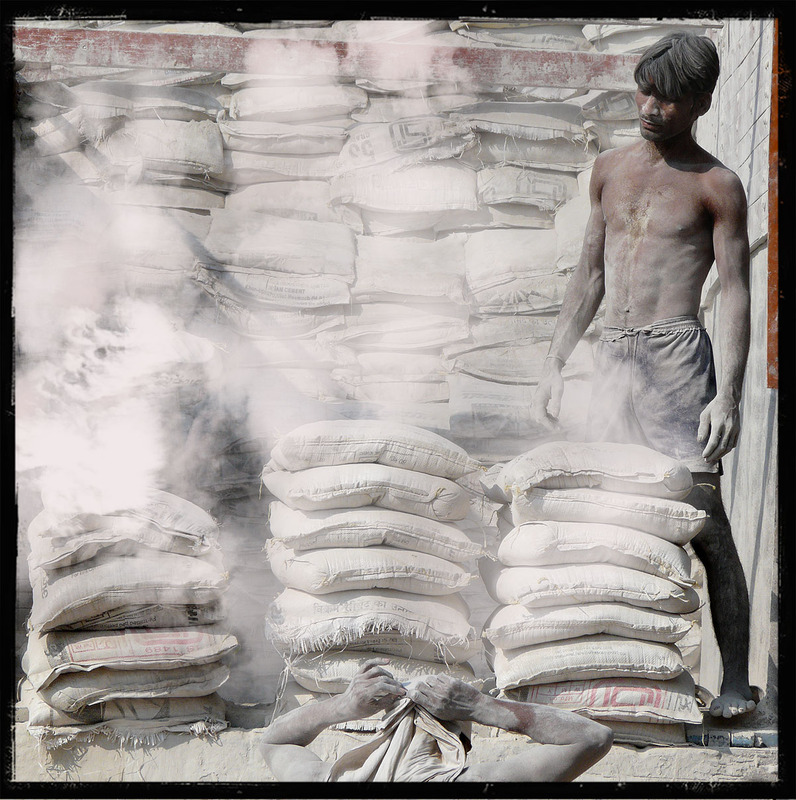 Of course it is easy to compare this concept of art to those workers living in dust. My attempt was to show a kind of beauty among what I find a painful condition in order to attract the attention on those men’s fate. Thank you again for all your mails and comments on this set. “What if a demon were to creep after you one night, in your loneliest loneliness, and say, ‘This life which you live must be lived by you once again and innumerable times more; and every pain and joy and thought and sigh must come again to you, all in the same sequence. The eternal hourglass will again and again be turned and you with it, dust of the dust!’ Would you throw yourself down and gnash your teeth and curse that demon? 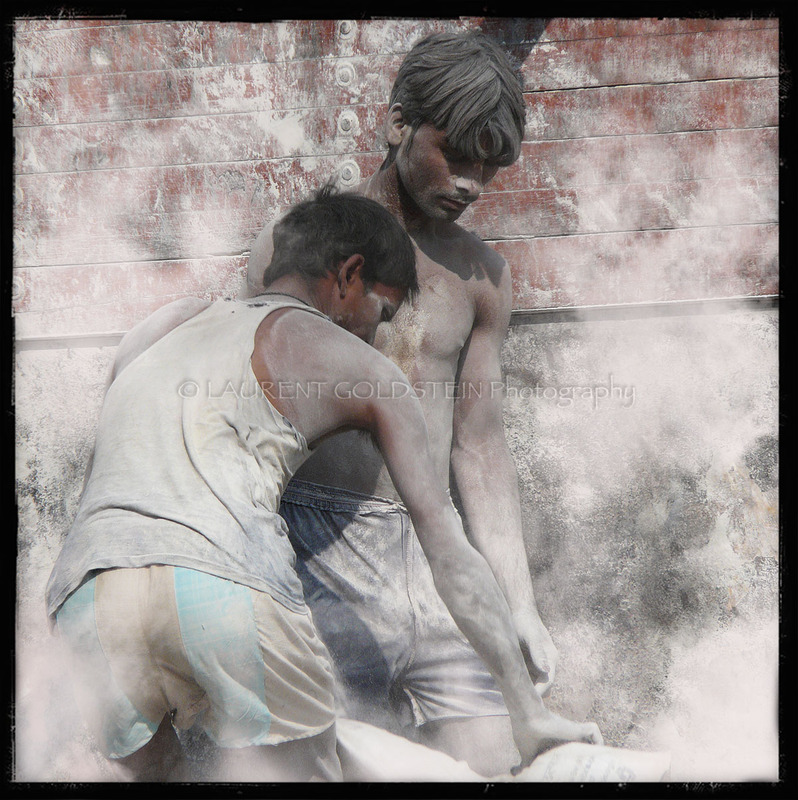 This is another picture from the series shot in my street in Varanasi (Benaras) while four men were emptying plaster bags from a truck. 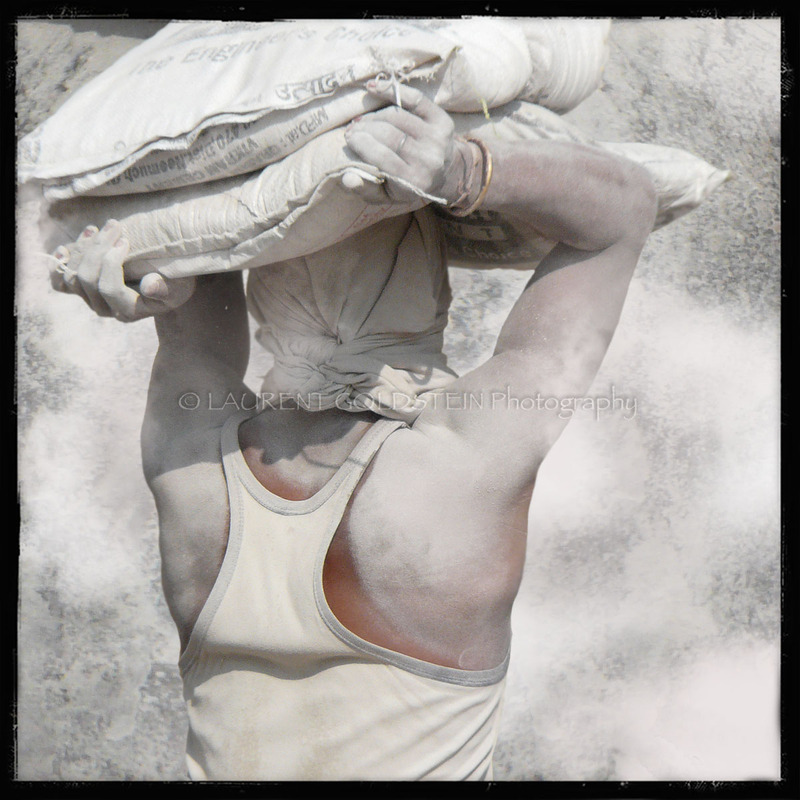 This picture belongs to the series shot in my street in Varanasi (Benaras) while four men were emptying plaster bags from a truck. Thank you all for your many comments on this set of pictures. This japonese contemporary dance came after the second world war and among several things the choreography is a remembrance of the suffering of Hiroshima’s atomic bomb. It rises the question of how is it still possible to dance after such a thing and in some ways it is easy to compare this concept of art to those workers living in dust.